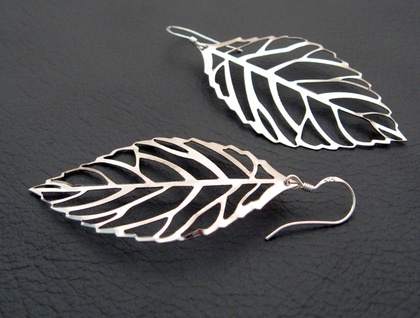 The leaves have been stamped from iron sheeting, then plated with silver, and are nickel free. 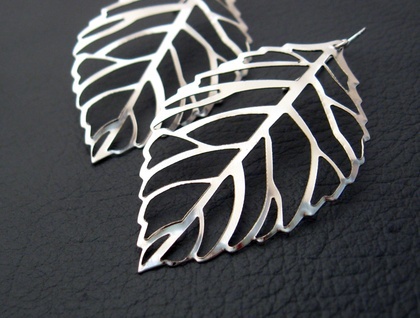 Being a stamped component, the leaves do not lie completely flat like a sheet of paper, but have a more organic, slightly twisted or warped shape, like real skeleton leaves. 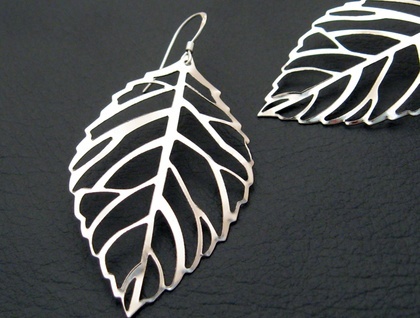 The ear hooks are stamped 925, indicating that they are sterling silver – that is, they contain at least 92.5 per cent silver. 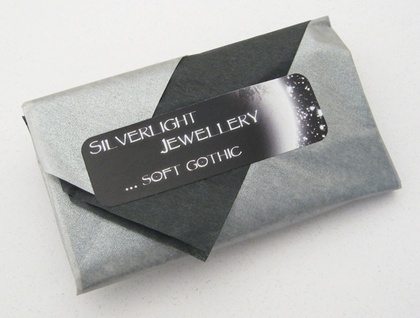 The earrings measure 66mm from top to bottom. The leaves are 54mm long, and 31mm across at their widest point.